The Lodge at Mallard's Landing offers a wide-range of senior care options. Our Assisted Living lifestyle offerings provide seniors the care they may need to live the life they love. Nestled in the greenery of the Pacific Northwest, our customized on-site services and impressive amenities truly set The Lodge apart. Below we explore our Assisted Living services in more depth. While working to play an active role in the lives of our residents, our social, fitness, and recreational programs encourage residents to maintain their independence and participate as much or as little as they choose. With a full-time Life Enrichment Director, residents can enjoy endless activities, filling their days according to their own passions and interests. Our spacious common areas and overall inviting atmosphere create a relaxing space where residents can enjoy happy hours, live music, host family members, and more. 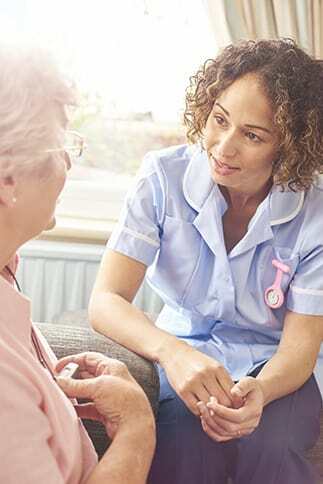 With a team dedicated to giving residents flexibility and wide-ranging options, there are many choices when it comes to individual service plans. Our Wellness Director and Executive Director have the ability to meet with residents and family members to discuss service plans as necessary or requested. 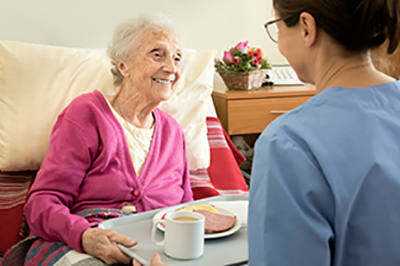 In addition to these services, we may partner with hospice (as well as home health care) to provide end of life services, so our residents may remain in their Lodge home as long as possible (and within our license). Residents are able to remain in the comfort of their own apartment while receiving the care they need. Moving is difficult, but there is comfort in knowing that this may be the last move residents will have to make. Beyond simply outlining everything The Lodge has to offer, we’d love to show you first-hand. Contact us today to schedule a tour.